Finding cheap local plumbers can be a lot harder than you think. 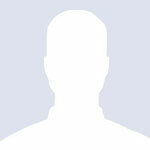 People tend to like the idea of getting something cheap and saving money which could be spent elsewhere. If purchasing an item from a shop or supermarket it all makes sense, but trying to save on cost something as important as plumbing could end up costing a lot more in the long run. 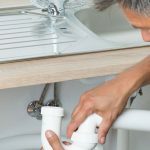 With a small budget to spend on a plumbing jobs it’s tempting to hire the first plumber who agrees to carry out the work at a low cost, but when a plumber agrees to work at prices below the usual rate, time is vital to their work schedule so you may find that the end product is not want you expected. There may be occasions where plumbers have to return to the job when the customer has noticed something that they are not happy about,and then attempts to recall the plumber to address the issue. Its not good practice but when paying cheap rates some cheap local plumbers tend to disappear and have moved onto the next job, the low budget job doesn’t encourage cheap plumbers to return to correct any issues that may still be outstanding and you are left looking for another plumber to address your problem . 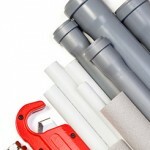 If a plumbing issue occurs and there is only a small budget available to carry out the task, hiring a cheap local plumber may be the only option, but be clear from the outset with the plumber on what your expectations are, never pay in full until your are Satisfied with the work carried out, inspect the work after completion and ask for a receipt. Not all cheap plumbers produce inferior workmanship, it could be the case of a semi retired local plumber who enjoys his job and doesn’t mind working at a lower rates than other plumbers and is happy to return to a job if the customer is not happy.